Being injured in a slip and fall accident is disorienting. Whether your injuries are moderate or severe, you need time to heal, especially if your injuries require extensive medical care. Here’s what to do after a slip and fall accident to take care of yourself and protect your legal rights to compensation. 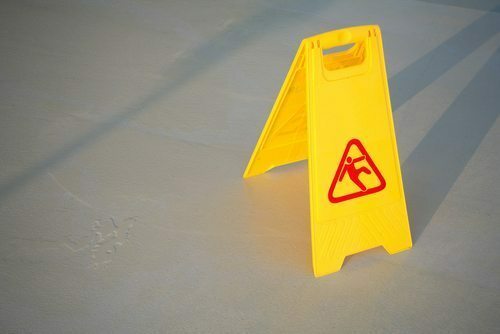 Many slip and fall accidents result in a few bumps and bruises. Victims make the mistake of thinking some ice, rest, and a few band-aids will do the trick. Even when the injuries aren’t critical, it’s important to see a doctor for a full evaluation and formal medical records. These are important to have to show the injuries sustained during the fall. Not only will this help give you peace of mind, it will also help solidify your case in the future. The second most important thing you can do after getting medical help is to contact an attorney. Most places where slip and falls happen have their own legal teams. These teams try to ensure you are unable to obtain evidence that would illustrate their liability and negligence. For example, a store’s legal team will look for video footage and potentially erase it. This is to prevent you from formally requesting the evidence through a court. When a lawyer is brought onto a case too late, it is difficult for them to obtain the evidence necessary to prove your claim. This is because it may have been hidden, tampered with, or destroyed. When a personal injury attorney is brought into a slip and fall case immediately, he or she begins securing evidence that will help you. At Appalachian Injury Law, we helped dozens of people injured in slip and fall accidents recover damages for medical expenses, pain and suffering, and wage loss. We can help you hold the at-fault party responsible for your accident liable for their actions in court. Contact us today for a consultation to learn more about your legal rights after a slip and fall accident. Call (706) 515-1995 or toll free at (800) 393-8595.